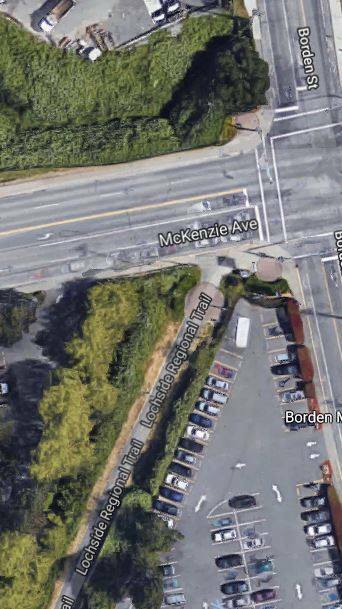 On Saturday July 21, 2018, at 2:30AM, a 21 year old woman was walking east on McKenzie Ave towards Borden St when she was tackled to the ground at the Lochside Regional Trail. The unidentified suspect then grabbed the victim, by the waist, and attempted to pull her towards him. The suspect attempted to remove the victims shorts however, the victim fought back and was able to escape. The suspect is identified as a 25-35 year old white man with dark tanned skin that made him appear almost Hispanic or First Nations. The suspect was around 5’10” tall with a heavy build and had light stubble on his face. The suspect was wearing a dark long sleeve shirt with a chest length zipper and a black baseball hat with an unknown white insignia. Anyone with information about the identity of the suspect, or has information about this crime, is asked to call Saanich Police at 250-475-4321 or to remain 100% anonymous call Greater Victoria Crime Stoppers at 1-800-222-8477.